Adobe has announced the official release of its new version Adobe Experience Manager 6.2 on 21-Apr-16 after the release of AEM 6.1 last year. It consists of all the Service pack and hotfixes of AEM 6.1 along with many more customer key fixes. End Customers are having lot of expectation from AEM 6.2 to have tons of new features and out of the box components. I am personally very excited to see how much we get from this surprise bundle of AEM. Support for Mongo DB Enterprise 3.2 is added as a part of repository enhancement. Procedural failover support is added for cold standby tarmk architecture. Note:- Currently it is manual. Click here to see how to setup cold standby in aem. Priority-Queuing configuration is introduced to prioritize urgent activation with low priority activations. Package replication can be done from package manager itself. No need to activate individual pages. Navigation has been moved from side rail to overlay, to provide more viewable area for actual work. Search is moved to top bar, for easy and quick searching in all areas of product. Dashboard for monitoring queries (http://localhost:4502/libs/granite/operations/content/monitoring/page.html). 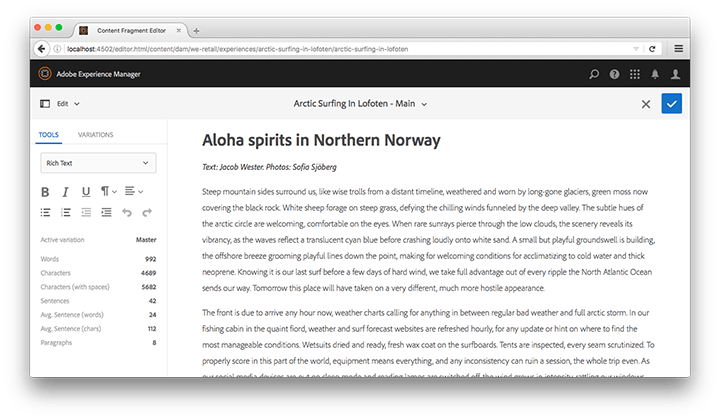 Blogs are enhanced for blogging and commenting on publish-nodes. Q&A enhancement for questions and best answer identification. Adobe Analytics integration with built-in reporting dashboard. Rich Text page editor in AEM Touch UI has been enhanced to support Content Fragments. Content Fragment a name suggests seperates the content into fragments that can be reused and provides the ability to manage text-based content and it’s associated assets. Stored as Assets: Content fragments can be created and maintained from the AEM Assets console. Templates are used in aem to provide consistent page structure through out the project. 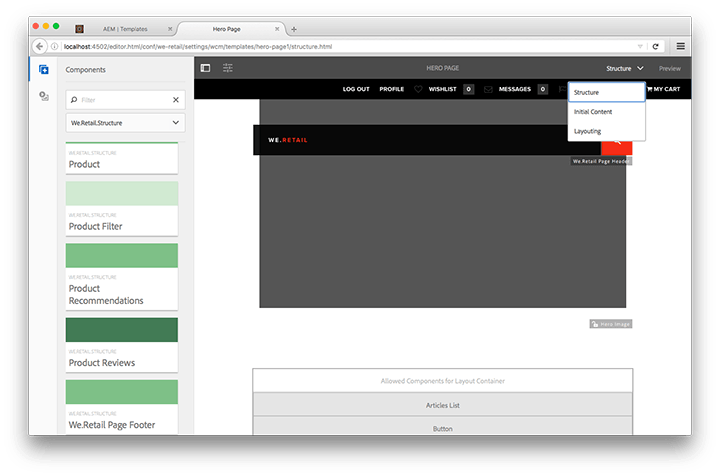 Template console and Editor is one of the main feature that is shipped with aem 6.2. Manage lifecycle of the template. Read More about how to use Template and Policies in AEM 6.2. Note:- Template console and editor is only available in Touch UI. Click here to view AEM 6.2 release notes for detailed info. Click here to view list of deprecated or removed features from AEM 6.2. Click here to view list of known issues with AEM 6.2 which will be delivered either as hotfixes or with next major release. Obviously we have lot more expectations then above features from AEM 6.2. 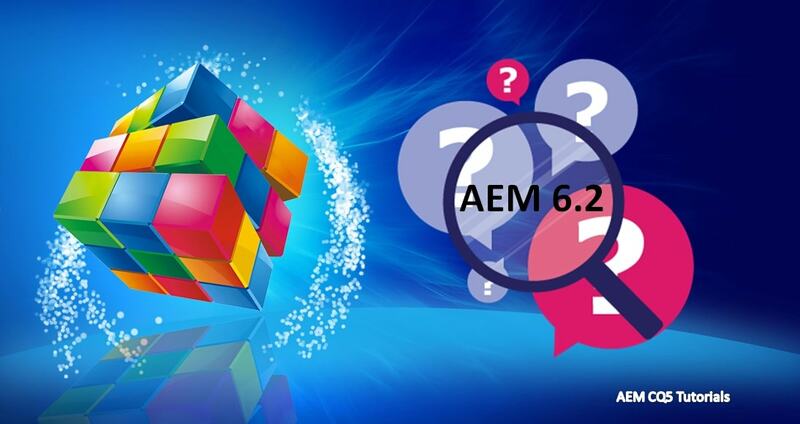 Friends do comment below if you have any other feature in mind that Adobe AEM 6.2 should add. All in all, AEM 6.2 come up with lot of UI and security enhancements. Looking forward to explore it further. 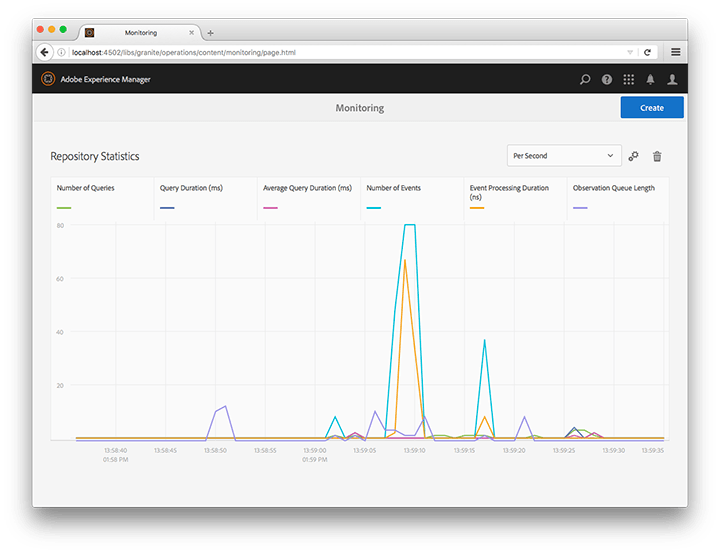 12 Responses to "AEM : Top 5 Features in Adobe Experience Manager 6.2"
6.1 has been awesome still exploring the drastic changes and now this woe grats adobe you’ve had an awesome couple of years! I was guessing they might sunset Classic UI… Thoughts? I completely agree with you Nitin, I too prefer classic UI over Touch UI. But Adobe is focusing more now in enhancing touch ui. “Adobe recommends that customers plan to switch to the touch-optimized UI in 2016/17.” — It seams unreal for them to sunset, but I can see it happening. From Adobe’s perspective I can understand it though, they didn’t build the classic UI and it’s never as easy to support someone else’s code versus your own. That’s true, but they are not going to sunset, however they emphasize everything to move to TUI. Company and Product benefits include additional revenue on user training and less maintenance, backward compatibility. Any idea when AEM Forms 6.2 will be released and will a version of AEM Forms 6.2 also be released? What do you mean by flex? I think you might mean flash? There’s no trace of flex or flash in AEM/CQ. Sightly has nothing to do with HTML5 either, it’s still a back-end template engine the same way JSP/JSTL, Freemarker, etc. are. Till earlier version of CQ, adobe use flash components that runs on mobile devices. But as now iphone and other devices has stopped the support of flex, internally development team might be trying to move all components to html5 to make them fully responsive. The only difference between Flex and Flash is i think Flex is opensource framework whereas flash is commercial IDE from adobe. AS sightly is not supported with Jsp, so adobe is recommending to use html 5 + sightly, to make components responsive. You can include Sightly in JSP and JSP in Sightly. Both can operate together. At the end of the day both get compiled to java code. I need a help from you on a technical challenge i am facing in aem 6.2. I have parent component and field inside it to select a tag path from etc/tags. I have another child component in which it have a field of xtype tags. The path I select in my parent component should dynamically come as the tag path inside the child. How can I achieve this? Can you please help?